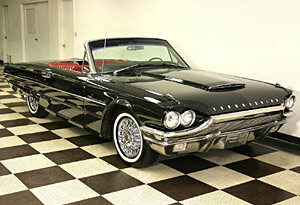 1964 FORD THUNDERBIRD, One beautiful black bird. This car has a Gorgeous color combination. 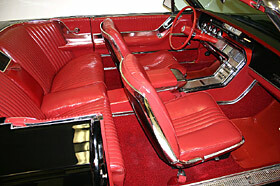 BLACK Mirror finish paint over and all metal beautiful body and RED LEATHER interior in almost new condition. This car has had a very recent restoration on a southern rust free car and has had very few miles on this beautiful car since.